Anyway here's a look I did for last Monday going to work. 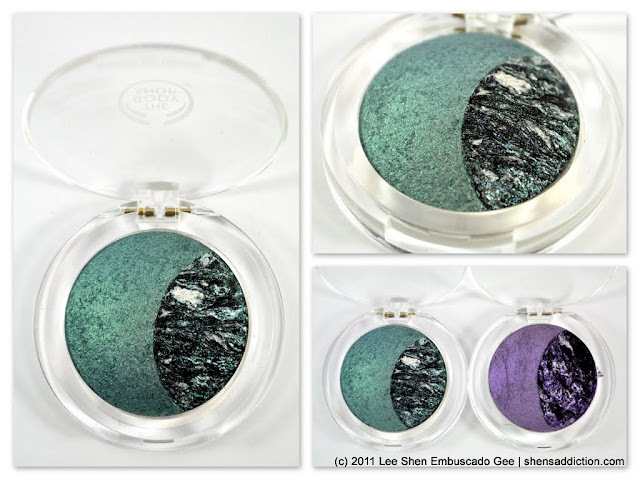 I know it's a bit loud for a day look but I just really want to try out my Jade Nature Baked Eye Colour from The Body Shop's Nomadic Goddess collection. I pretty much love everything in that collection. I once saw a TBS sales associate wearing this and I was blown away by its intensity. But at Php1050, it was way too pricey. Good thing I saw this at SM Hypermart Pasig. The Body Shop has a small branch their that has all their best-selling products, including cosmetics. Jade was finally on sale and it was at whopping 50% off!! I paid only Php525 for this baby and worth every peso! Love it! I actually got the Amethyst first because Jade wasn't on sale then. I'm eyeing the the Copper as well. I'm hoping that that goes on sale, too! This was also a good time to finally use my Clinique Derma White Bright-C Liquid Makeup SPF 38/PA+++ in True Beige. I got the Derma White Liquid Foundation because they told me it's the nearest one they got from Superfit. The consistency is really runny but not so bad. I would suggest using a palette in order to use up all the product you take out from the bottle. And don't forget to shake the product prior to using it. On how well it keep oilies at bay, it was moderate on my extremely extremely (very!) oily skin. I think Superfit was still better at providing a matte coverage. A good thing about the Derma White Bright-C Liquid Makeup is that it feels really light against my skin but covers my blemishes. Not the cystic ones, though. And who wouldn't love that it has SPF 38 with UVA and UVB protection. Of course I still recommend you to use a sunblock still. 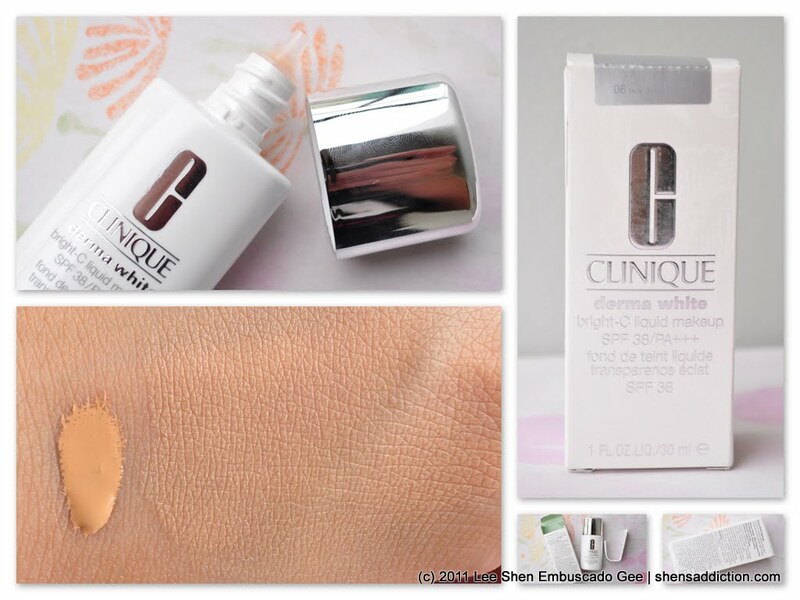 Clinique Derma White Bright-C Liquid Makeup also improve the skin after sometime. I really really love my eye makeup! Hahaha! Look at me, praising myself. But really, I love it. It was so easy to achieve it because the baked eyeshadow takes away in guessing what to use and where. It blends so easily as well as much as it is pigmented. As for my new clinique foundation, I love how flawless it makes my face. Sigh.. I wish I could look like this everyday. Lol! What about you? Do you currently have a favorite look? You look absolutely radiant! I need to get that Bobbi Brown lipstick! ang ganda mo shen.. super.. i am loving the whole look.. every morning bago ako mag aral i will read your blog muna.. haha godbless..